LACOM offers you innovative concepts for your production. We would like to offer you a product, fulfilling your wishes and matching all your needs. We also offer you unlimited customization options. The core part of our machines is the application head, which can be applied in every version of our machine range. To meet your needs every machine can be combined with a variety of peripheral devices to provide you a innovative and efficient solution. 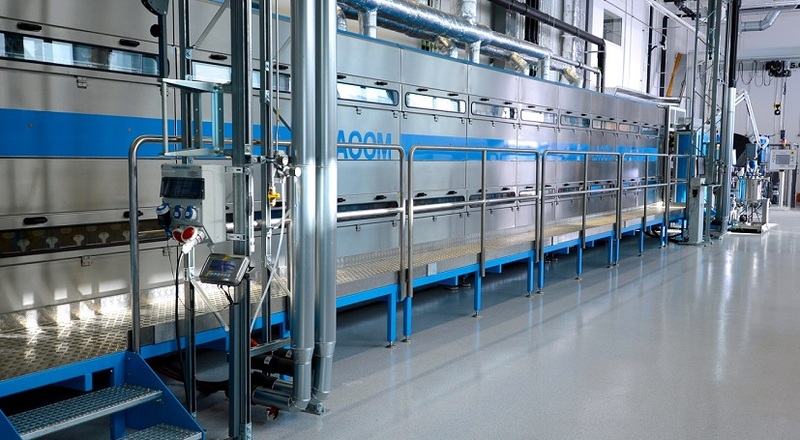 The possibilities range from a non-stop configuration to floating dryers up to accumulating of laminating substrate.